At Eau Brink Studio you can rent space from 1 hour up to a day. Giving you the time to either work on your own projects or organise your workshops to teach. Prices start at £5.00 per hour per person for you to work on your own projects. 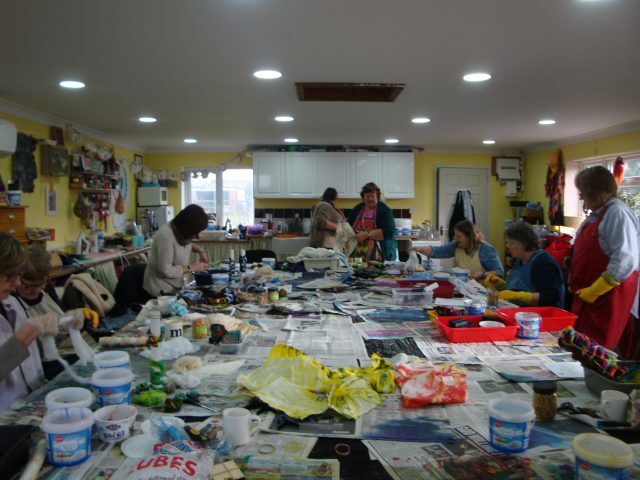 To rent the studio for a day to run your own workshops the cost is £20.00 per person. Wrap it, tie it, scrunch it. Included in the cost is a large light working space. Tea and coffee. Materials and sewing machines can be provided at an extra cost.